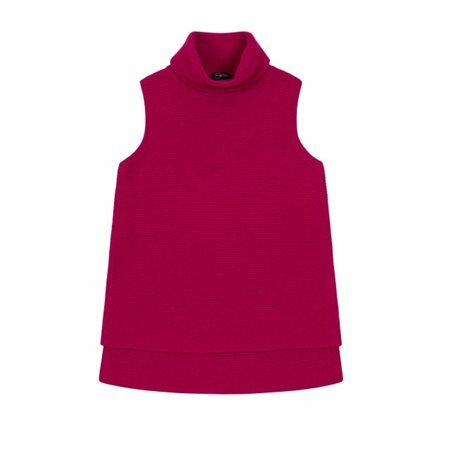 This elegant little sleeveless roll neck pullover by Emreco would make a great addition to your new season wardrobe. The soft knitted fabric in striking crimson would go with whites, blacks, greys, etc. It has a slightly dipped hemline giving it a modern look.